We spend on average one third of our life at work, and for a business owner it is likely more. We often see many business owners who are tired and worn out from working long hours yet they’re still not achieving the financial outcomes they desire. What matters most in this scenario is not the long hours worked or lack of financial incentive, it’s the impact this has on their personal lives. 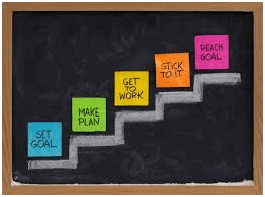 The key to business success is working out your personal goals first. Once you have a clear idea of where you want to be personally you can then start making strategic decisions in your business so that your business fits with your lifestyle. Your business shouldn’t be the reason you don’t achieve your personal goals, but instead the reason you do. Your personal goals may be to pay off your home loan sooner, go on more holidays, spend more time with your family, retire earlier, or all of the above. As a business owner you have the flexibility to control and change the financial outcomes in your business to allow you to reach these personal goals. This sounds great, but where do you start if your business currently controls you? Firstly you need to need to write down both your personal and business goals to ensure there is a clear idea of where you need to get to and ensure they both align. From here work out what areas in your business need to be improved or changed to allow you to realise your goals. Once you know the problematic areas you can then develop a strategy around how you will solve these. It may not be possible to change everything at once but it is important to set timeframes around your action plan to ensure you do reach the end goal. By addressing these key areas within a business the common outcome we see is profit improvement, cashflow improvement, a better work life balance, less stress and a business that fits with an owner’s life rather than the owner’s life fitting around the business. If you would like help in aligning your business and personal goals contact Renee or Melanie at the office.